Did she find me or did I find her? 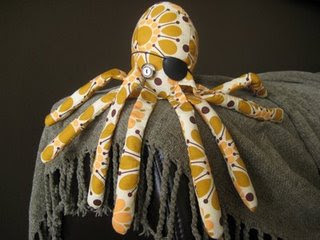 I can't remember but I do remember being very taken by Benito de Soto the notorious pirate octopus when I clicked on her blog. Sophia is new to the blogging scene and I'm really excited to see what she comes up with next. 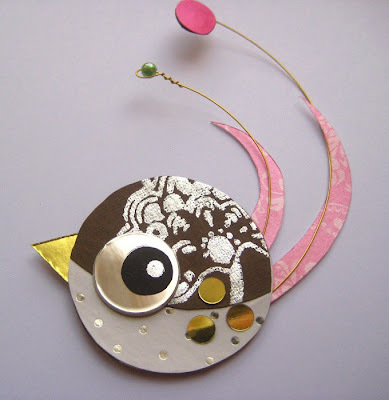 Another cute octopus or more amazing stationery like these bright little bird magnets? Ulrika, Diabolito and the very girly Miss Glamour-Puss are waiting for you in Sophia's shop, go check them out! That octopus is delicious! Thanks for sharing.